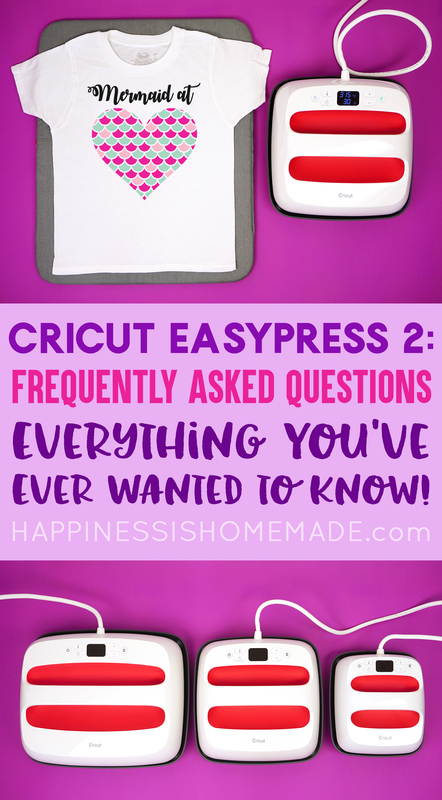 Everything you’ve always wanted to know about the Cricut EasyPress 2! Answers to frequently asked questions about the EasyPress 2 and how to use it! This is a sponsored conversation written by me on behalf of Cricut. The opinions and text are all mine. This post may contain affiliate links. I will receive a small commission from these sales at no additional cost to you! 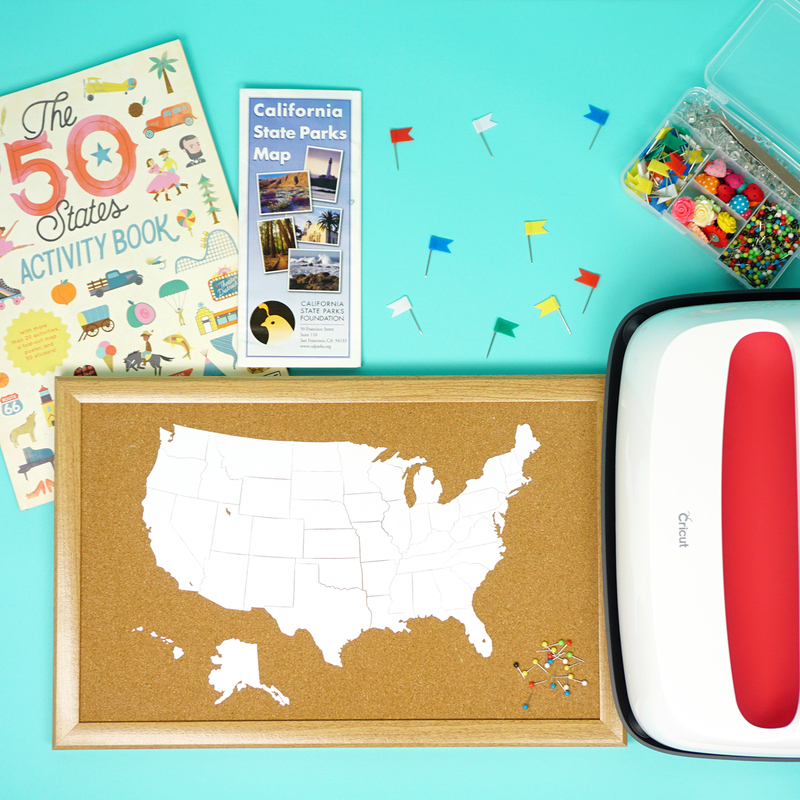 The Cricut EasyPress 2 is one of the most invaluable tools in the crafting world, but since it’s introduction, it has always been accompanied by a LOT of questions – What IS the EasyPress? What does an EasyPress do? Why do I need an EasyPress? How do I use an EasyPress? How does it compare to a household iron or heat press? 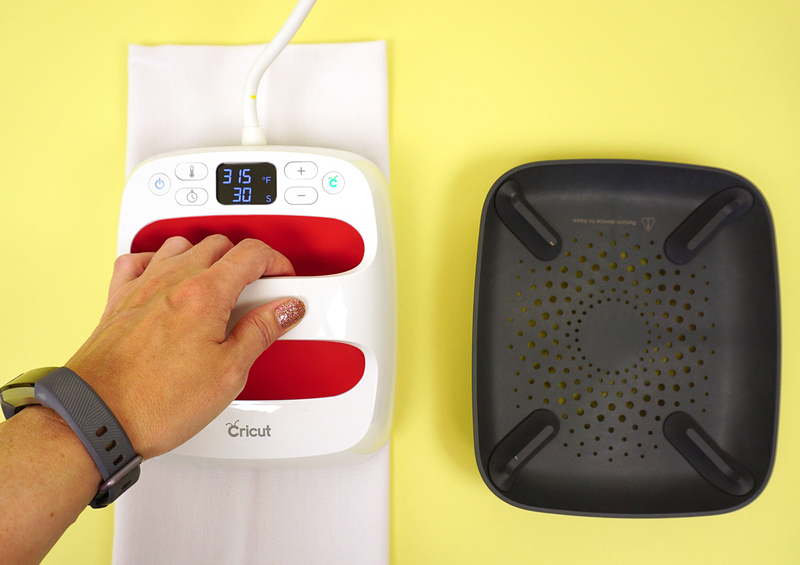 The Circut EasyPress 2 combines the speed of a heat press with the simplicity and convenience of an iron into one uniquely portable heat machine for flawless results on all of your iron-on and heat-transfer projects. If you make custom shirts or other iron-on projects, the EasyPress 2 is the perfect tool for the job! What is the difference between the Cricut EasyPress and standard irons or heat presses? The Cricut EasyPress 2 has several things in common with a standard household iron as well as a professional-grade heat press, however, the EasyPress is a unique machine in and of its own right. Like an iron, the EasyPress is a lightweight, portable, and affordable way to apply iron-on heat transfer vinyl to your projects, but those are the only features that the EasyPress shares with an iron! 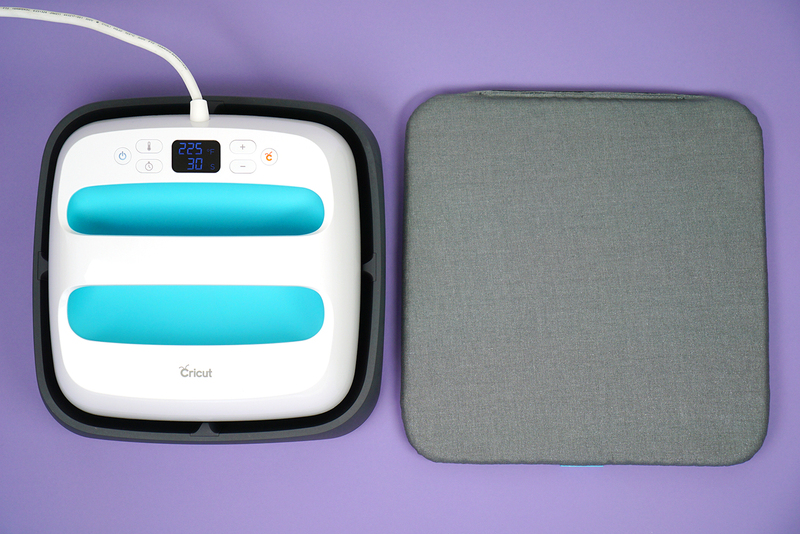 Unlike an iron, the Cricut EasyPress is comprised of a single solid heating plate (in various sizes, as we’ll discuss in a moment) that heats evenly and precisely using digital settings for both temperature and time. 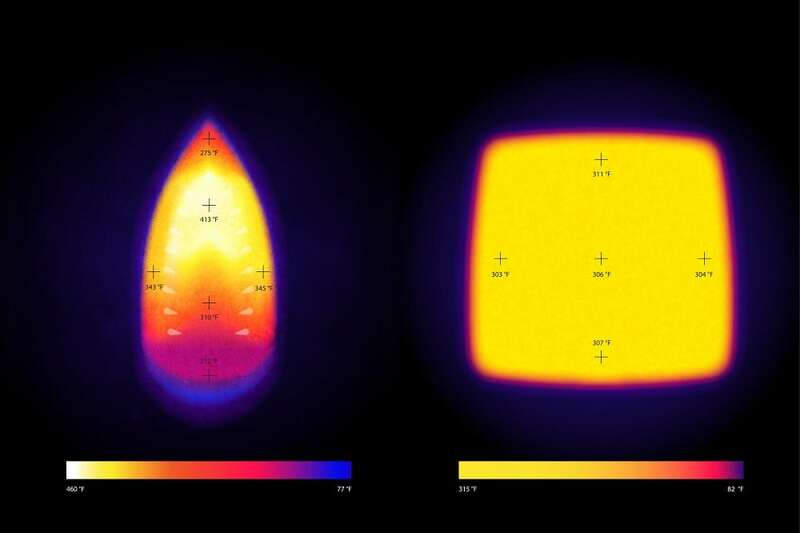 In the thermal image below, you can see the variation in temperature on the face of the iron vs. the EasyPress, and the result is quite astounding! 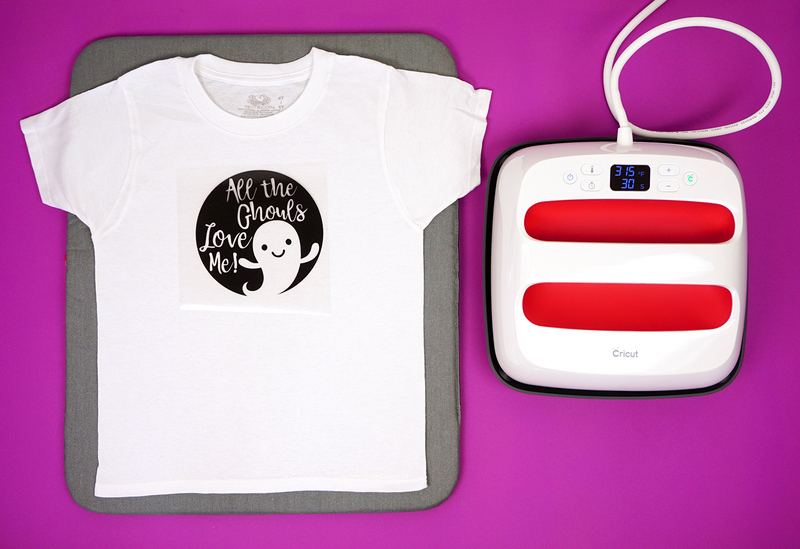 The even heating surface of the EasyPress ensures that your iron-on will stick properly the first time and stay stuck through wash after wash – Cricut’s Everyday Iron-On comes with a StrongBond Guarantee that promises that your iron-on project will outlast 50+ washes! In comparison to a professional-grade heat press, the Cricut EasyPress 2 performs outstandingly well and all of our testers reported that the EasyPress produced comparable results to the professional heat press. Testers preferred the EasyPress, however, for a variety of reasons including the EasyPress’s size and weight, ease-of-use, and convenience. Testers also loved that the EasyPress heats up and is ready-to-use in around 2 minutes while most heat presses took 15-20 minutes to fully heat. For a more in-depth comparison of the Cricut EasyPress vs. Iron vs. Heat Press, check out this helpful and informative article! What is the difference between the Cricut EasyPress and EasyPress 2? 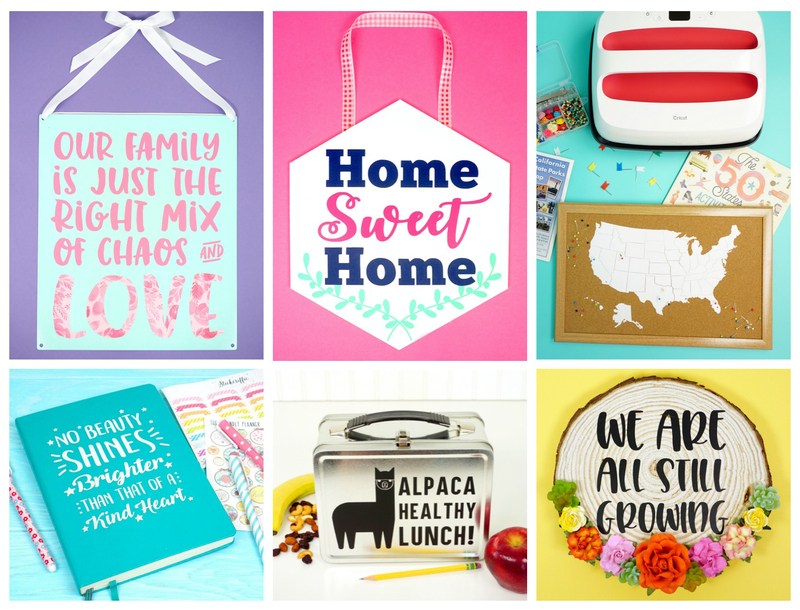 After the EasyPress was released in fall 2017 to rave reviews, Cricut recently introduced the EasyPress 2, an upgraded version of everyone’s favorite iron-on press. The EasyPress 2 heats up more quickly than its original predecessor, and it also heats up hotter – to a 400 degree maximum temperature vs. 350 degrees. The higher temperature range means that the EasyPress 2 can also be used for sublimation applications (if you don’t know what that is, take a peek here!). The EasyPress 2 still contains all of the tried and true safety features of the original EasyPress including automatic shutoff (after 10 minutes), a large and easy-to-grip safety handle, and a new and improved streamlined insulated Safety Base that keeps the heat off of your work surface and protects the EasyPress when not in use. 6″ x 7″ – perfect for baby wear, cosmetic bags, and smaller projects. 10″ x 12″ – allows you to press larger clothing/tote bag/etc. designs in a single pass. How much does the EasyPress weigh? The EasyPress 2 weighs between 5-14 pounds depending on the size. This weight helps you apply the light pressure that is necessary to ensure that your iron-on project gets perfect results. The EasyPress Mat is a thick heat-resistant and padded silicone mat that protects your work surface from the heat of the EasyPress 2 as well as providing a smooth and stable base for pressing all of your projects. It is sold separately and is not required (you can also use a towel underneath your project if desired), but I HIGHLY recommend it (it’s SO much better and nicer than using a towel!). The mat is available in three different sizes to coordinate with the EasyPress 2 sizes. 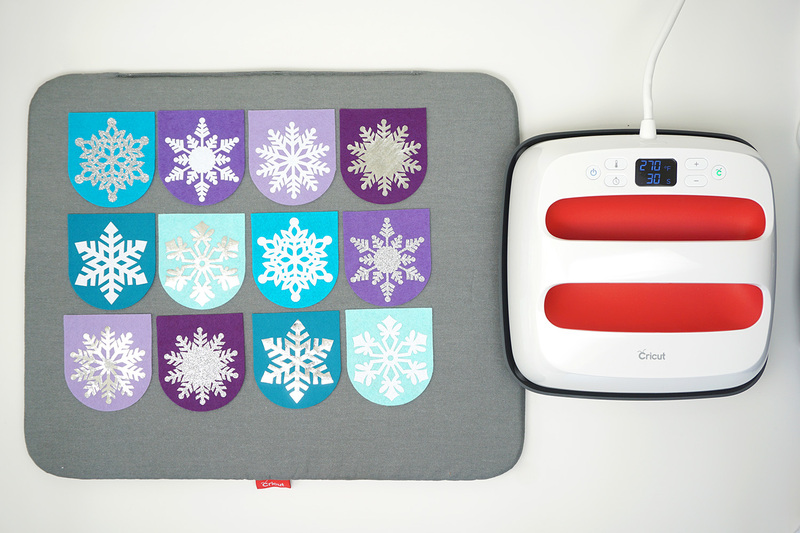 Cricut makes it easy peasy to know exactly the right temperature for your project depending on which iron-on and which base materials you are using. Simply hop over to the EasyPress Interactive Quick Reference Guide and select your materials, and the guide will let you know the temperature and time recommended. The Cricut Iron-On Protective Sheet is one of my favorite iron-on accessories. The protective sheet, as the name implies, protects your iron-on projects from direct heat and helps to evenly distribute the heat from the EasyPress 2 to deliver exceptional results. I recommend using a protective sheet when working with multiple layers of iron-on heat transfer vinyl or when working with unique base materials such as wood, metal, tile, and cork. To ensure the long-lasting success of your heat transfer project, a combination of time and pressure is required when pressing. Most projects require a light “gentle” pressure which translates to approximately 5-10 pounds of body pressure using one hand on the EasyPress 2. Some projects may require a “firm” pressure which is approximately 15-20 pounds of body weight applied with two hands on the EasyPress 2. It is recommended that you use a waist-high table for all EasyPress applications to ensure that you are easily and comfortably able to apply the required amount of light pressure. Iron-on is one of my most favorite mediums to work with, and there is SO MUCH that you can do with it! Of course, iron-on is fantastic for making shirts, blankets, bibs, and all sorts of fabric-based projects, but the possibilities don’t stop there! Iron-on is an incredibly versatile medium to work with, and the EasyPress 2 makes working with iron-on MUCH easier (and with far better results than a household iron!). 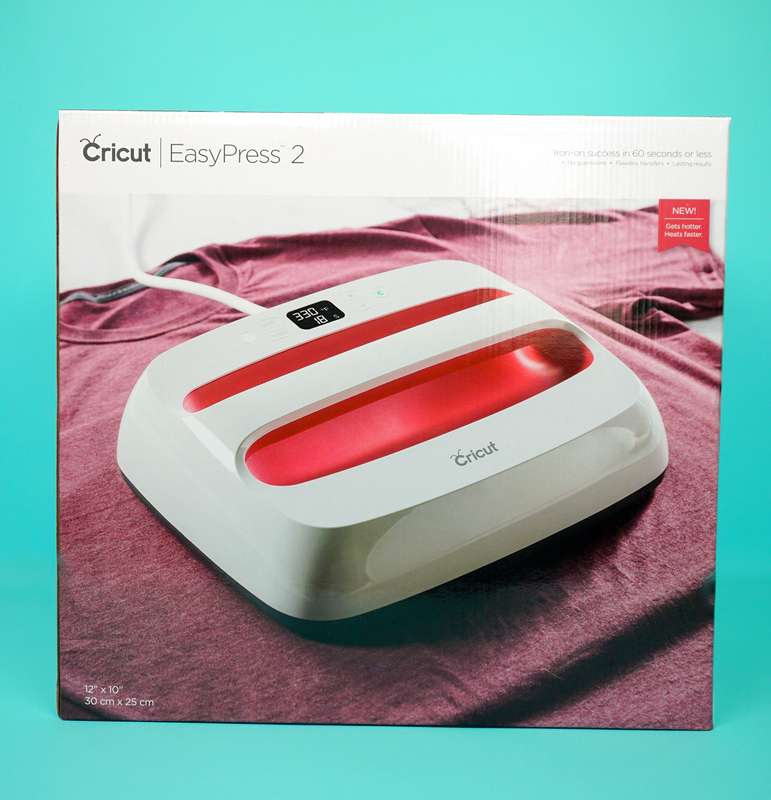 If you’re looking to make custom shirts or other iron-on projects, you’ll definitely want to add an EasyPress 2 to your crafting arsenal! Pin these Frequently Asked Questions for Later!